One of the areas that we serve is Lutz, FL. As a Tampa-based Top Rated Local® Flooring Service, we want to install as many floors in homes around the area because there’s nothing like adding a different element to a house to make it warmer and more beautiful. 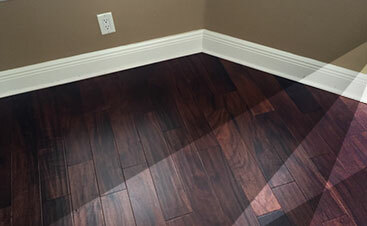 One of the flooring options that we offer is laminate flooring installation. Laminate flooring is such a great option because it provides you with the authentic look of wood without needing to worry about upkeep or paying the cost of hardwood flooring. If you’re interested in having laminate flooring installed in your home, then we urge you to reach out to us today. If you look around your home and feel like something is missing or you want to try a change, then laminate flooring may be a viable option. Laminate flooring can be great for homes that need a little something extra in high-traffic areas. It’s a wonderful option for homes that have animals or children because it’s durable and you won’t have to worry about any damage if a little one gets a bit too rowdy. Updating floors can be one of the best ways to add a different element to your home and you can expect just that with laminate flooring. By taking the hassle and the stress out of laminate flooring, you can actually enjoy the process of exploring new floors for your house. This affordable option will add a different vibe to your home because of the beauty each style, pattern, and color can offer your home. If you’d like easy maintenance for your floors, then we recommend that you check out laminate flooring. Affordable and beautiful are two ways to describe genuine laminate flooring. Whether you’re getting ready to move or you just want a change, by installing new floors in your home, you can increase the property value as well as the appearance in your home. What’s great about these floors is how hassle-free they are. You won’t have to spend hours and hours cleaning because minimal effort goes into maintaining this gorgeous flooring option. By installing flooring options that are durable and beautiful, you can have the genuine floors you want without any of the upkeep. 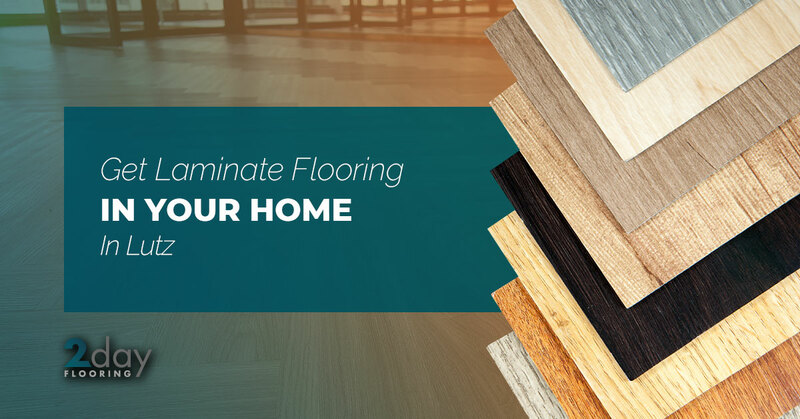 Stress and hassle go hand-in-hand when you’re picking out floors; however, when you choose 2 Day Flooring, you won’t have to worry about the job we do. Instead, we’ll be sure to talk to you throughout the entire process of shopping for the perfect floor and the installation process. We’re dedicated to helping you find the flooring of your dreams to really enhance the look of your home. By having an open flow of communication, our Lutz’s premier flooring company will make sure that you’re satisfied with your new floors and the job we complete. 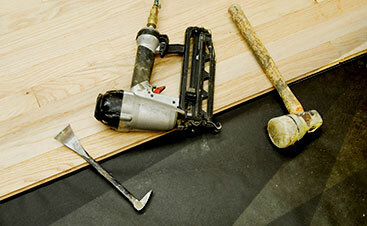 If you’re like to schedule an estimate, we offer free in-home options. Just contact us to get started!